Having scoliosis is bad news. The curvature of the spine is not just aesthetically unflattering but also affects an individual’s health and way of life. This is common to both sexes although women are more prone to scoliosis than men. This abnormal curve may go unnoticed at its early stages but would be more defined as you age. Your sleeping position and even your mattress play a significant role in your sleep cycle. Keep in mind that your sleeping position does not cause scoliosis or worsen the condition. However, a proper position will help alleviate your scoliosis pain. Which sleeping position is better to adopt depends on your type of scoliosis and the local of the pain. Thoracic scoliosis – Your thoracic spine or upper back tends to curve to the right. Most people who suffer from thoracic scoliosis prefer to sleep on their sides. Side sleepers would need a more plush surface as compared to back sleepers. However, a mattress that is too soft might pull your heavier parts down too low, putting more pressure on your joints. A good model has to provide enough support while having these areas cradled. To keep your spine aligned when sleeping on your side, tuck a pillow between your legs as well as a flatter one under your upper rib cage (the concave portion). In case you’re a back sleeper, you might want a firmer model for better support of the spine. Tuck a flat pillow under your shoulder blades to take pressure off your upper back. Lumbar scoliosis – The lumbar area or the lower back of the spine is curved to the left or right. Most people who suffer from lumbar scoliosis find it more comfortable to sleep on their backs as it promotes spinal alignment. To relieve the pain in this area, tuck a flat pillow or a rolled up towel under your neck in addition to your usual pillow. 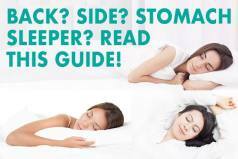 Avoid sleeping on your stomach as your back and neck can get temporarily distorted, causing pain the next day. Regardless of sleeping position, choose something that can support your body optimally and help you get that good night sleep after a long day at work or in school. You want a product that can provide you the premium level of comfort plus the support you need for your spine. While there is no cookie-cutter design for the best model for scoliosis – the basics on good spinal support plus cooling and comfort will definitely help go to sleep right when you need it. You need to know what to look for when buying a mattress. Looking for a solution that can provide the right type of support and comfort tailor-fit to a person with scoliosis can be confusing with different options around. Although comfort levels are considered subjective, patients suffering from scoliosis commonly need a medium-firm option that can provide relief of pressure points, is responsive, contours to your body and aligns your spine and is able to revert back to its original foam with very minimal sinkage. Even gravity can hold a grudge against you. When you have scoliosis, you need a firmer bed to provide the right balance and back support for your spine. A model with medium firm support is best for your medical condition. You can prevent aggravation of spinal curvature with the right model that can provide you ample support in the thoracic and lumbar areas of the body. Sleeping on your convex side is also advised for scoliosis patients. High-density memory foam is second to none when it comes to relieving joint pressure. Moreover, it’s famous for the ability to conform to the body’s curves, creating that cradling effect. Latex, on the other hand, is known for great support, sleeping cool and highly responsive. 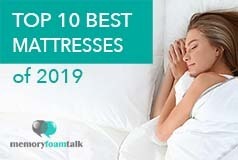 Both memory foam and latex are some of the best materials as far as sinkage is concerned. Obviously, a too soft or plush model can’t do the job well for a person with scoliosis. A specialty support foam or latex option that is medium firm will help keep you comfortable and supported all throughout the night. Mattresses should ease pain and discomfort while you sleep and avoid further curvature or damage to your spine. The Layla has 4 layers of memory foam which are copper-infused and bolsters its cooling properties for a more comfortable sleep and helps promote blood flow and circulation. 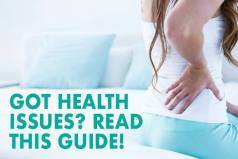 This is especially helpful specifically for those suffering from arthritis, hip pain, as well as scoliosis. You won’t have to worry about sleeping hot with this model. The Layla has a unique option of being dual-sided with two firmness levels to choose from – one being firm and the other soft, just by flipping it over without the need to unzip the cover and swap the layers, which is great if you suffer from scoliosis and want to customize firmness yourself. All these features make the Layla a good choice if you are suffering from scoliosis. The Zenhaven has four layers and is made of pure Talalay latex. You can easily choose between the two firmness levels – Gentle Firm and Luxury Plush – by simply flipping it. The Zenhaven has a unique 5-zone support system in the latex which provides different levels of support depending on which part of the body requires different firmness levels. This is made possible by the different sizes and distributions of pinholes specifically in the torso and shoulders during the manufacturing process, and helps those with scoliosis to get support where it is needed. Being made of organic Talalay latex, which is American-sourced, the Zenhaven is made extra softer, buoyant, and durable for comfort and maximum support. Our top pick for one of the best models for those suffering from scoliosis due to the excellent zoned support layer as well as the comfortable cool latex. If you suffer from scoliosis and need something with good support as well as comfort, the Nectar Sleep is a great choice. You can get a product of this luxury firm within an affordable price range, especially with our $125 off coupon. The Nectar is made up of 4 layers of foam and with a Tencel top cover that keeps your sleeping area breathable, cool, and bug-resistant. It uses semi-open LUSH foam that gives that extra softness, loft, and breathability as it does a great job in heat absorption and redistribution. It is a high quality mattress brand. It is a quality mattress that provides great support with the addition of a soft pillow top which provides support as well as comfort which is important for those suffering from scoliosis. It has that perfect firmness which provides the right contour and support needed especially for those with spinal alignment issues such as scoliosis, and low motion transfer. This helps ease numbness and pain with adequate comfort and support, and is one of our top picks if you have scoliosis.